Fencing Products | Norcal Fence & Deck Supply, Inc.
We are the only lumberyard in the east bay that mills its own fencing. 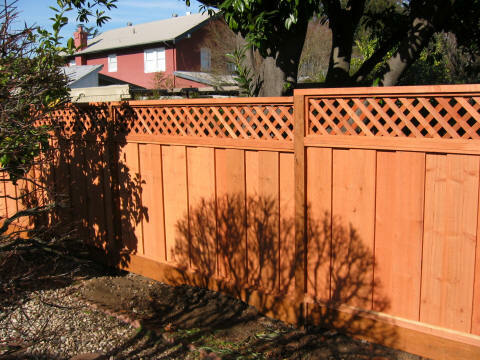 Not only do we maintain a higher standard for the appearance of our fencing materials, our boards are cut much thicker than the ones available at all of the local lumberyards and home centers. 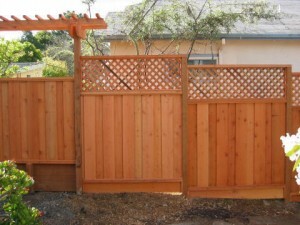 The result of this is that you will have a much stronger, longer lasting fence then with fencing purchased elsewhere. We stock redwood and Western Red Cedar. We carry the most common sizes in stock and can cut material to your specifications if needed. 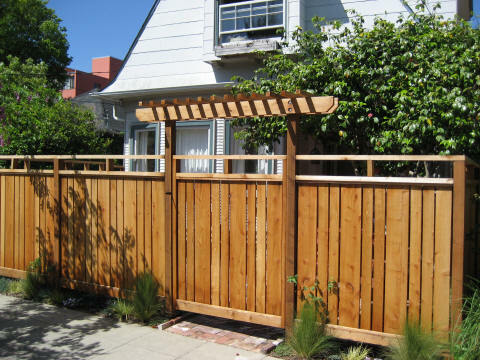 Redwood fencing is available in two grades; construction common (con common) and construction heart (con heart). Construction common is the lower of the two grades and is cut from the outer part of the redwood tree. The wood is red and white in color. The edges of the wood can have “wane” which is actually the edge of the tree. This grade differs from construction heart in that only the red color has the high rot and insect resistance. This is the most commonly used grade of fencing. It is recommended an oil-based preservative be applied after construction to enhance its lifespan. If left untreated the wood shall turn gray over time. Construction heart is the higher of the two grades and is characterized by its all red color. This grade is commonly used in high-end fencing, arbors, raised vegetable beds and other outdoor uses. Like the lower grade, it is recommended that an oil-based preservative be applied to enhance its lifespan. If left untreated it shall also turn gray over time. Western Red Cedar comes from the pacific northwest and has the same rot and insect resistance as redwood. It is generally a tan color but can have darker shades of brown and pick and purple hues. We offer three grades. Clear (free of knots), a # 2 grade which is comparable to construction grade redwood and a #3 grade (pecky cedar) which is an economy grade. ©2011 NorCal Fence & Deck Supply, Inc. Site design by Shimmin Design.